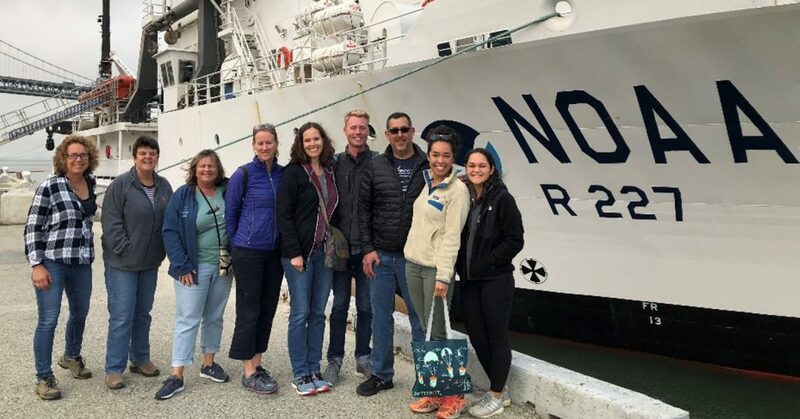 ACCESS is a private/public partnership that supports marine wildlife conservation and healthy marine ecosystems in north-central California by conducting ocean research to inform resource managers, policy makers and conservation partners. Effective management and conservation of natural resources requires adaptive management strategies that are informed by robust analysis of past and present data and information at an ecosystem scale. ACCESS focuses on the oceanic habitats in Federal and State waters of northern and central California, encompassing Cordell Bank, Greater Farallones and Monterey Bay National Marine Sanctuaries. ACCESS was formed by Point Blue Conservation Science, Cordell Bank National Marine Sanctuary, and Greater Farallones National Marine Sanctuary. Partners include the Greater Farallones Association, University of California Davis – Bodega Marine Lab, San Francisco State University – Estuary and Ocean Science Center, Pomona College, Hawai’i Pacific University, and several agencies including the California Department of Public Health, San Francisco Bay National Wildlife Refuge Complex – Farallon Island National Wildlife Refuge, and the National Park Service. Download a 1-page description of ACCESS with highlights or with a map of our study area.